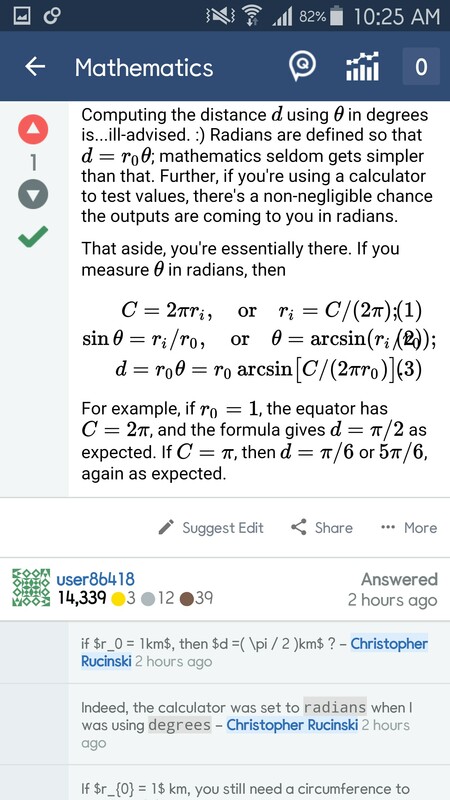 In the Android App, the MathJax is not displayed correctly in comments to answers. I assume this also applies to comments the question, but I have not verified that. This is by design, you can tap on a comment to view the MathJax rendering. We should definitely get better at explaining this, however. Not the answer you're looking for? Browse other questions tagged bug status-bydesign mathjax comment android-app . Load latex in comments on mobile app?